Your order will be delivered by our courier partners An Post. A tracking number of the courier will be included in your dispatch confirmation email when your items are shipped. For your convenience, we offer Click & Collect service in each of our stores. Our Click and Collect service is free of charge. Simply select your nearest store when you pay for your items on the Checkout page. Once we process & dispatch your Click and Collect order (within 3-5 working days), you can collect it in your store within 1 – 2 working days (from date of dispatch). We will notify you once the parcel is ready for collection. Please note due to a high volume our Click and Collect service might take up to 3 working days from the date of dispatch. When we receive your orders it will be processed within 3-5 working days and dispatched. Once your order is dispatched from our warehouse it will be delivered by An Post couriers. Due to circumstances beyond the control of mccabespharmacy.com, some deliveries may take longer than expected due to strikes, incorrect address, our selected courier’s operational failures etc. Please ensure you pay careful attention to the address box and contact phone number at the checkout stage as this will form your address label for shipping. Failed deliveries from the courier cannot be replaced until the item is returned by our courier to us. In the event of a failed delivery, the goods are returned to us promptly by the couriers. Once we have received the goods back we will ring you and try and verify your correct delivery address or we will cancel your order if required. We currently ship to the following countries: Ireland, Northern Ireland, UK, France, Germany, Belgium, Netherlands and Luxembourg. Please note that our couriers will attempt to deliver to address stated in order. However, in the event where the customer is not at this address, the courier will either leave with a neighbour or make a second attempt at a later date. If a courier is not able to deliver to you directly, a calling card will be left at your address notifying you of the status of the delivery. All items of a sensitive/embarrassing nature are shipped in discreet packaging. Our labels do not note our company name. It will, however, display our company address. Items are packaged in plain padded envelopes or plan boxes. If you have any special requests re privacy – please contact us with information. Order Tracking will be available once dispatched, you will be notified by our courier An Post. International Shipping We currently only ship to the countries above. However, if you wish to get a quote to ship to any other country, please contact us stating what product and quantity you require along with the desired country. One of our representatives will endeavour to contact you with a price within 1 working day. If we have already dispatched the product, your products needs to be returned to us at the address below before a refund can be applied. Once we receive goods in original packaging and condition we will process refund. Please note the speed the refund credits your account will depend on your credit card company. The following are the terms and conditions for use of the mccabespharmacy.com website and Mccabes.fujipix.ie photo service. This website is for use by people who are 18 years and over only. All orders are subject to availability, in the event of goods being temporarily out of stock an advice note will be sent by email and goods will be dispatched as soon as available. If the goods are not delivered after 20 days a credit note will be issued which may be used against any future orders within 6 months. We utilise the latest in customer friendly shopping procedures, reinforced with a reliable and secure checkout processing system by Realex Payments. You can be 100% confident that we have invested in the most secure transaction methods available today. Goods will be dispatched upon clearance of payment on the same day whenever possible. Order processing for our photo section is using mccabes.fujipix.ie interface and has its own checkout. Internet transactions are processed via our secure ordering facility on a secure server. All major Credit Cards and Debits Cards are accepted and the name McCabes Pharmacy (Wembar Ltd.) will appear on your credit card transaction statement. All prices displayed within the store include VAT where applicable. If you are using our Photo Printing service you can pay using major credit cards / debit cards, MasterCard and Visa, as well as Laser/Debit cards through fujipix secure checkout. You agree to abide by all applicable local, state, national and international laws and regulations and are solely responsible for all acts or omissions that occur under your usage, including the content of your transmissions through the website. All information, designs, drawings and other specifications provided on the website are the exclusive property of mccabespharmacy.com. Any copying, transmission or re-transmission of the same requires the prior written approval of mccabespharmacy.com. The price listed on the Website (the ‘Price’) for mccabespharmacy.com products (the “Products”) will be as stipulated at the time when you place your order on the website. We are entitled to make adjustments to the price to take account of any increase in our supplier’s prices, change a special offer price back to it’s original or the imposition of any new taxes or duties, or if due to an error or omission the Price for the Products on the website is wrong. Orders placed on Fridays will not be delivered until after the weekend as weekend deliveries are not available through our courier . Should there be a delay in processing your order for any reason – you will be notified immediately. All products are subject to availability and delays may sometimes occur that are outside of our control. Any dates specified for delivery are therefore approximate only. If delivery is delayed for more than 21 days, you have the right to contact us and refuse to accept the products. In these circumstances, we will refund any money paid by you for those products and any delivery monies you have been charged. However, we will not be responsible for any other losses, costs, damages or charges that you may suffer if we delay in supplying or do not supply those products. We promise the utmost confidentiality and discretion with your order. All orders of a sensitive nature are packaged in plain packaging. All our outer packaging on deliveries of a sensitive nature is non-descript padded mail packs or parcels with no company advertising or logos. We aim to get your order into the next collection available after your order is received. Please kindly note that this is not a guarantee of next working day delivery, please allow between 2 and 5 working days for delivery. Orders not received within 7 days should be notified by e-mail to customer services with details of your basket order number. Please ensure you use a valid and current e-mail address when ordering, as you will receive all confirmation and reference numbers relating to your purchase by e-mail. Retain these details until your order has been delivered and please quote these in any correspondence to us regarding your order. Photo orders: Delivery for orders from our photo section may take 3 – 5 working days. For canvas prints can take up to 7 days. Collection orders may take up to 96 hours to be ready at one of our four stores processing photo orders. Delivery charge is €3.95 for all photo orders except prints which are priced individually. When you purchase online, you have a statutory right to return a Product (other than perishable produce) up to 7 days after your order has been delivered (cooling off period). We can change or cancel an order up until it is dispatched. If the order has been dispatched, you can return the Product to us and we will organise a refund (excluding delivery cost). Goods must only be retuned if they are unused, unopened and in their original condition. Any breakages or damage must be reported within 24 hours of purchase/delivery. The first point of contact for complaints is to email us directly. Many of the products are of a technical nature and it is not practical to publish detailed specifications of all the products and keep specifications completely up to date. All descriptive matter, drawings, pictures, colours, specifications and advertising on the website are for the sole purpose of giving an approximate description of the products. If any manuals or safety instructions are provided with the products, you agree to read and follow carefully all the terms contained therein at all times. Any information contained on the website is not meant to be comprehensive and if you are inexperienced in using the products or are unsure of your abilities, you should always seek expert advice and assistance. The information contained in the website is for information purposes only and, although we have made every effort to ensure the correctness of the information contained herein, the information available through the website is provided “as is” and “as available” and without warranties or conditions of any kind either express or implied. We do not warrant or represent that the use or the results of the use of the materials available through the website or from third parties will be correct, accurate timely, reliable or otherwise. We accept no liability in relation to any of the above other than as may be provided for under your statutory rights. No contract will subsist between you and mccabespharmacy.com for a sale to you of any product or service unless and until mccabespharmacy.com accepts your order by e-mail confirming that it has dispatched your order. That acceptance will be deemed complete and will be deemed for all purposes to have been effectively communicated to you at the time mccabespharmacy.com sends the e-mail to you (whether or not you receive that e-mail). We use your IP address to help diagnose problems with our server, and to administer our Web site. Your IP address is also used to help identify you and your shopping cart and to gather broad demographic information. An IP address is a number that is assigned to your computer automatically when you use the Internet. When you visit a particular Web page in the inhealth site, our servers log your IP address. Our site uses an order form for customers to request information, products, and services. We collect visitors’ contact information (such as their email address), unique identifying information (such as user name and password). Contact information from the order form is used to send orders and information about our company to our customers. The customer’s contact information is also used to get in touch with the visitor when necessary. Unique identifiers (such as user name and password) are collected from Web site visitors to verify the user’s identity and for use in establishing and identifying account numbers in our record system. All transaction details are kept secure and are stored for a minimum of two years. This site has security measures in place to protect the loss, misuse and alteration of the information under our control. All Web servers are behind a firewall and monitored. To protect identity and combat fraud, all customers are required to provide accurate information during the registration process and/or order processing. If a suspicious or malicious behaviour is discovered, McCabes Pharmacy reserves the right including but not limited to, close customers account, void and refund fraudulent orders, block customer from accessing the site fully or partially. Only one account per person is allowed. This does not affect your statutory rights. By using the Mc Cabes Pharmacy site and services, you signify acceptance of this privacy statement. If you do not agree or are not comfortable with any policy described in this privacy statement, your only remedy is to discontinue use of the mccabespharmacy site. We reserve the right to modify this privacy statement at any time. Your continued use of any portion of the mccabespharmacy site following notification or posting of such changes will constitute your acceptance of those changes. No problem. We are happy to accept returns within 7 days of order. Just email website@mccabespharmacy.com. Or call us on 01 8074706. If we have already dispatched the product, it needs to be returned to us at the address below before refund can be applied. Once we receive goods in original packaging and condition we will process refund. Please note the speed the refund hits your account will depend on your credit card company. We will always process your refund as quickly and painlessly as possible. Orders placed Monday to Thursday before 4.00pm are shipped with Next Day Delivery. Orders placed on Friday before 4.00pm it will usually be dispatched on Friday for Monday delivery. All orders processed after 4.00pm Friday through to Sunday will be dispatched Monday for delivery on Tuesday. Orders will be shipped with DPD couriers or AnPost and you will receive a dispatch email with full tracking details and instructions in case you will not be in for delivery. Orders placed Monday to Thursday before 1.00pm are shipped with Next Day Delivery. Orders placed on Friday before 1.00pm will be dispatched on Friday for Monday delivery. All orders processed after 1.00pm Friday through to Sunday will be dispatched Monday for delivery on Tuesday. Orders will be shipped with DPD couriers and you will receive a 1 hour window for your package delivery as well as a dispatch email qwith full tracking details. United Kingdom customers can expect delivery of their orders within 1 – 3 days. Customers in city destinations may receive their parcels swifter than customers in rural areas. Orders will be dispatched with Royal Mail Tracked 48. Orders with high costs will be sent with Royal Mail registered post. Orders over 2kg may occasionally be shipped with alternative carriers such as DPD. Notification on the courier method utilised will be in your dispatch email. *If you have a specific requirement, please email customerservice@inishpharmacy.com prior to placing your order and a member of our staff will return to you with available options. We use An Post International Express Delivery. To check your delivery time estimate then please refer to the grid below. You will receive an email with a tracking number upon dispatch. The order status can be checked at www.anpost.ie. All orders for delivery within Ireland or UK above €45 or £40 will be eligible for FREE DELIVERY. Orders not eligible for Free Delivery will be priced at the following rates: Ireland or UK Delivery: €3.95/£3.50. Cost for orders to Europe, America and rest of world will be €9.99 / £8.99. *Please note that all international orders are subject to review prior to dispatch. If your order has a combined weight of 1.00kg and over or contains aerosols, we reserve the right to charge a surcharge for this delivery or cancel if the chosen carrier will not accept aerosols in their packages. We will always contact you first in these instances. Please note we are unable to dispatch orders to addresses in the Russian Federation due to excessivley high postage costs. If you have a specific query about a delivery address outside of Ireland, UK or the rest of Europe, please contact us using customerservice@inishpharmacy.com and we will be able to give you a specific delivery quote. In the unlikely event that an item you have ordered is out of stock, we will notify you immediately to inform you of any possible delays. You can chose to collect your item in one of our pharmacy locations. Please allow 1 working day for your order to be available. It is the buyer’s responsibility to ensure that the correct shipping/delivery information is provided and that your package can be received at your address. Should it occur that delivery be impossible and that the package is returned to us, the buyer will be subject to shipping fees for resending of goods. We use reliable postal services however we shall be under no liability for any delay or failure to deliver the parcels within the estimated timescales. It is the buyer’s responsibility to ensure that the full shipping address supplied at checkout is correct. Please review this before placing your order. We prioritise a fast dispatch and delivery timeframe, so it may not be possible to enter to amend your delivery/shipping information after you place your order. If you enter incorrect or incomplete shipping address and your item is returned to sender, we will only resend your order after the buyer pays an additional shipping fee. If the order is subsequently cancelled after being returned to sender, a restocking fee of €5 / £5 will apply to each order and will be deducted from the refund amount. We want you to be happy with your products purchased from Inish Pharmacy. If your order arrives with an item that is broken or damaged or if you receive the wrong product, please contact us using the form below, within 14 days of delivery to arrange the return of item. We will happily replace the product or issue a full refund. Please note, it can take up to 14 days for any refund to reach your account. In such instances, we will pay the cost of returning the products. Refunds will be processed using the original purchase payment method used. If you change your mind after receiving your product and decide you later want to return it, please fill in the form below within 14 days of recieving your order. We will happily offer and exchange or refund for the products if they are in the same condition and packaging that the products were received in. In such instances, the buyer must pay return costs. We strive to dispatch all products as quickly as possible. Orders will be dispatched using either An Post (ROI deliveries) or Royal Mail 1st Class (UK deliveries). On some instances, such as heavy goods, we may use a courier service. We will advise you if this is the case, as a signature may be required as proof of delivery. If you have a specific query about a delivery address outside of Ireland/UK or the rest of Europe, please contact us using customerservice@inishpharmacy.com and we will be able to give you a specific delivery quote. Russia: We no longer ship to Russia due to high shipping costs. The ‘My Account’ feature allows you to store previous purchase information, your product wishlist. Your billing and shipping addresses will also be stored however credit/debit card information is NOT stored. Inish Pharmacy may use your purchase information for future offers or promotions. It is the buyer’s responsibility to ensure that the correct delivery information is provided and that your package can be received at your address. Should it occur that delivery be impossible and that the package is returned to us, the buyer will be subject to shipping fees for resending of goods. The information provided on this website is for guidance and information only and should not take the place of a diagnosis by your general practitioner or local pharmacist. Published information in the ‘Ask Our Pharmacist’ page relates to previous customer questions and may not be relevant to the exact condition of other persons. For all vitamins, supplements and other healthcare products sold on www.inishpharmacy.com it is important that you read the accompanying information and directions before use. If you are in doubt about how to take or use any of these products, please get in touch with us using the contact us page and one of our trained staff will be in touch with you. We strive to dispatch all products as quickly as possible. Orders will be dispatched using either An Post (ROI deliveries) or Royal Mail 1st Class (UK deliveries). On some instances, such as heavy goods, we may use a courier service. We will advise you if this is the case, as a signature may be required as proof of delivery. Please note that all international orders are subject to review prior to dispatch. If your order has a large combined weight, we reserve the right to charge a surcharge for this delivery. We will always contact you first in these instances. If you have a specific query about a delivery address outside of Ireland/UK or the rest of Europe, please contact us using customerservice@inishpharmacy.com and we will be able to give you a specific delivery quote. If your delivery address is outside of the EU, it is possible your order may be subject to certain import customs/taxes which are outside of our control. If you are in doubt please contact your local customs officials. Inish Pharmacy are happy to accept unwanted goods that are unopened and unused within 14 days from date of delivery. All unwanted returns must be returned in an unused, as new condition with your order sheet. Once Inish Pharmacy receives the return goods, you will then be automatically refunded if your goods pass inspection. In the unlikely event that your goods are faulty or have been damaged in transit, Inish Pharmacy will replace your items. Please contact us within 48 hours of delivery to report any issues. Items that are used and opened will not be replaced and no refund will be issued. We reserve the right to amend pricing on the website without prior notice. Products may also be withdrawn at any stage. Confirmed orders will be dispatched once confirmed unless we contact you otherwise. Customers can select Euro or Sterling prices on the website using the currency selection option. The amounted deducted from your credit/debit card will be that shown on the website at time of purchase. If you are purchasing via a currency other than Euro (€) or Sterling (£) the amounted deducted will be determined via the exchange rate applied by your bank, not Inish Pharmacy. We may run promotions at any time. We reserve the right to change or remove any promotion at anytime without prior notice. Only one discount code may be used per transaction. Some exclusions may apply. Certain products with discounts already applied may not be eligible extra discount/promotions. Some multi-pack deals may be excluded as discount is already applied. Some promotions are product specific and only valid on the product(s) specified in the promotion. All medicines that we supply are sourced from an authorised manufacturer or an authorised wholesaler. We ensure the quality and safety of the medicines, the security and integrity of the supply to eliminate the risk of counterfeit medicines entering the supply chain. You must be aged 18 years or over to purchase medicines online at www.inishpharmacy.com. By purchasing any medicines and agreeing to the terms and conditions at checkout you are confirming that you are over the age of 18 years. In accordance with legislation the records listed below will be retained securely for a period of two years from the date of purchase. The total quantity of the product to be supplied in the transaction is a quantity that is reasonably required for the purchasers own treatment, having regard to any previous supply to that purchaser. Where a maximum quantity to purchase is stated on a medicinal product, this is the maximum amount that we will supply in any one transaction. Repeat medicines purchases will be monitored. Any medicines which are liable to abuse and/or misuse will be identified along with any repeat requests for medicines from the same customer within a short time frame. Where we suspect a medicine may be being abused or misused a supply will not be made and a full refund will be given. Fulfilled the requirement of Regulation 10 of the Regulation of Retail Pharmacy Businesses Regulations 2008 (S.I. No. 488 of 2008). Regulation 10 of the Regulation of Retail Pharmacy Businesses Regulations 2008 requires that in the course of the supply, a registered pharmacist is satisfied that the purchaser is aware of what the appropriate use of the medicine is and that it is being sought for that purpose and, in so far as the registered pharmacist is aware, the product is not intended for abuse and/or misuse. hank you for visiting Cara’s Online Store – which gives you access to Cara Pharmacy’s unrivalled product range wherever you are, whenever suits you! If you have any queries about Delivery , please don’t hesitate to contact us. We’re sorry that in most circumstances it’s not possible to make changes to your order once you’ve placed it. If you’d like to add products to your order, please place a new order for these items. If you need to change details of your delivery address, remove items from your order or cancel it completely, please contac our Customer Services team for advice on +35371 9822665 between 9am and 6pm, Monday to Saturday or email us here. Please be ready to quote your order number and order date. If you order has already been despatched or delivered, then you’ll need to folllow our Returns Procedure in the event of any unwanted products. We want you to be completely satisfied with your order and we would hope to resolve any problems you may have. If you are unhappy with your purchase, we will exchange the item or issue a credit note, providing the goods are not damaged and all packaging is still intact. Customers have the right to return their order within 28 days of purchase. Where the customers exercises their right to cancel and order after processing, only the product costs will be refunded upon receipt of returned goods as Cara Pharmacy does not refund postal charges. All returned products will be refunded or exchanged, provided they have not been used or damaged. Postage costs will only be refunded if goods were received in error. Any returned items must be received within 28 days of purchase to qualify for a refund or replacement. Any faulty goods returned after this time may only receive a part refund dependant on the amount of product used. Any goods returned more than 6 months after purchase, whether faulty or not, will not be refunded or replaced and the returned goods will be disposed of. Any items damaged during return due to insufficient packaging may only receive a part refund at Cara Pharmacies discretion. In the rare event of a customer receiving an incorrect item, Cara Pharmacy will, upon receipt of the returned incorrect item, send the correct item and refund the return postage . If the customer requires a fast replacement, Cara Pharmacy will recharge the customer, send the correct item and on receipt of the returned item, refund the customer for the cost of their second order and for their return postage. Orders returned by the Post Office as not picked up, will be refunded the cost of the products only. Customers will be notified and their order cancelled. The customer will have to re-order should they require the item. Sale, clearance or end of line items cannot be returned or exchanged for any reason other than fault with the product as the item has been reduced in price to clear. When we receive your order it will be processed for dispatch, in most cases, within 1-3 working days. Should your order be delayed in any way, we will contact you directly to inform you of this delay. Our delivery partners DPD ( www.dpd.ie ) are responsible for the prompt delivery of your goods. You will receive a text message informing you of a 2 hour window wherein your package will be delivered. Please note that a DPD representative may need to contact the phone number you provided in order to obtain directions and complete delivery. Also a signature is required to complete delivery. We send all postal orders via An Post Parcel Post; If no one is available to sign for the delivery then an information slip will be left at the address with details of how you can collect your package at the nearest Post Depot. We send all international orders via An Post Parcel Service. If no one is available to sign for the delivery then an information slip will be left at the address with details of how you can collect your package. This refund/exchange policy does not affect your statutory rights. Should you wish to return an item(s) we will be happy to exchange for items of the same value, a Store Credit Note or refund providing the return takes place within 14 days of purchase and is accompanied by the original sales receipt. The returned item(s) must be as new, in the original packaging and in a re-saleable condition. Exclusions apply and are detailed below. All refunds are issued to the original method of payment. Should you wish to return an item(s) after 14 days, we will be happy to exchange for items of the same value or a Store Credit Note. Return must be accompanied by the original sales receipt. The returned item(s) must be as new, in the original packaging and in a re-saleable condition. *Exclusions apply and are detailed below. Unfortunately, items not accompanied by an original sales receipt cannot be accepted for refund/exchange. Items do not have to be returned to the store in which they were purchased. Providing the above terms and conditions are met, your return can be presented at any Sam McCauley store. Items purchased online can be returned to any Sam McCauley store for a refund within 14 days of delivery. All refunds will be via card only, no cash refunds will be provided. Items returned must be as new, in the original packaging and in re-saleable condition. All returns to store must be accompanied by a copy of the delivery docket received with your order. No responsibility can be accept or items that are lost in transit so it is recommended that all items are returned via recorded delivery. *Under EU Distance Selling Directive 97/7/EC the restriction above regarding Digital Cameras, Laptops, Tablet PCs and other IT products does not apply to purchases from our online store. The following are the terms and conditions for use of the Sam McCauley website or any Internet site to which the Website is linked (the “Website”). This Website is suggested for use by people who are 18 years and over only. You are entirely responsible for any and all activities that occur under your Account which is provided to you by Sam McCauleys who host the transactional element of the website. You agree to notify us immediately of any unauthorised use or any other breach of security. We do not hold any personal data. Instead, personal data is stored on a remote secure server and used and is the full responsibility of Sam McCauley who host the Website. Accordingly, if you have any questions concerning website privacy and data use please contact us. You agree to abide by all applicable local, state, national and international laws and regulations and are solely responsible for all acts or omissions that occur under your usage, including the content of your transmissions through the Website. All information, designs, drawings and other specifications provided on the Website are the exclusive property of Sam McCauley Chemists. Any copying, transmission or re-transmission of the same requires the prior written approval of Sam McCauley Chemists. All products on the website are subject to availability, and in some cases, are sourced from our retail stores directly. In the unlikely event that a product for sale online has become out of stock or unavailable, we will notify you directly via Email to offer you a replacement or full refund of the price of the item. The price listed on the Website (the ‘Price’) for Sam McCauley products (the “Products”) will be as stipulated at the time when you place your order on the website. We are entitled to make adjustments to the price to take account of any increase in our supplier’s prices, or the imposition of any new taxes or duties, or if due to an error or omission the Price for the Products on the Website is wrong. The Contract of Sale is not confirmed until the products are ready for dispatch and a Dispatch email is sent, therefore, we reserve the right to cancel or refund an order due to a pricing error. No payment is taken by us until we physically charge your order through our system, which is done during order processing. Despite our efforts, a small number of the products in our catalogue may be mispriced. Rest assured, however, that we verify all prices as part of our dispatch procedures. If a product’s correct price is discovered to be lower than our stated price, we charge the lower amount and send you the product. Prices advertised online may not reflect in-store prices and should be treated as online exclusive prices in this case. Also, each retail store is not obliged to match a price found online which is due to a pricing error, as per the terms above. When you place an order to purchase a product from SamMcCauley.com, we will send you an e-mail confirming receipt of your order and containing the details of your order. Your order represents an offer to us to purchase a product which is accepted by us when we send e-mail confirmation to you that we’ve dispatched that product to you (the “Dispatch Confirmation E-mail”). That acceptance will be complete at the time we send the Dispatch Confirmation E-mail to you. Any products on the same order which we have not confirmed in a Dispatch Confirmation E-mail to have been dispatched do not form part of that contract. We will endeavour to deliver the Products to you within 2-5 working days of your account order within the island of Ireland , where this is practical. However, products are subject to availability and delays may sometimes occur that are outside of our control. Any dates specified for delivery are therefore approximate only. If delivery is delayed for more than 21 days, you have the right to contact us and refuse to accept the products. In these circumstances, we will refund any money paid by you for those Products and any delivery monies you have been charged. However, we will not be responsible for any other losses, costs, damages or charges that you may suffer if we delay in supplying or do not supply those Products. At the time of delivery you will be required to validly sign-off on the delivery of the Products, after which time the Products become your sole responsibility. When you purchase online, you have a statutory right to return a Product (other than perishable produce) up to 14 days after your order has been delivered (cooling off period). We can change or cancel an order up until it is dispatched. If the order has been dispatched, you can return the product to us and we will organise a refund. Any breakages or damages must be reported within 24 hours of purchase/delivery. If you are unhappy with the products or services you have received from us, please email us at help@sammccauley.com. 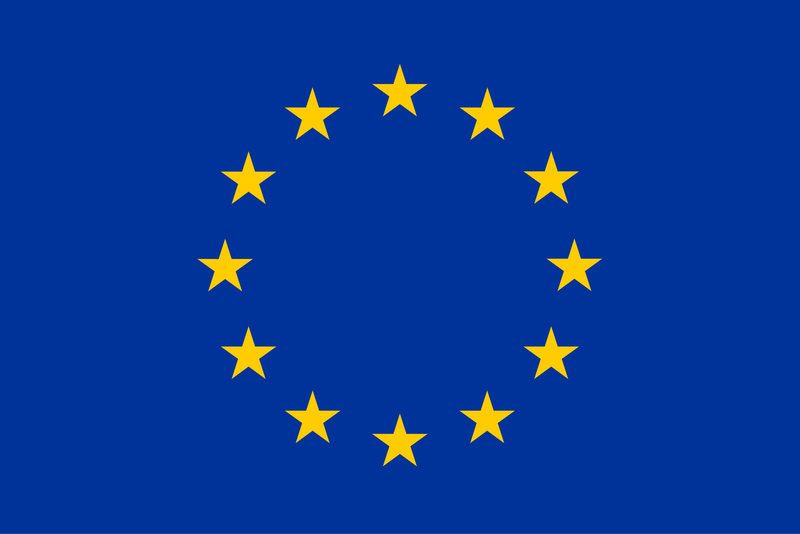 You can also submit any complaints to the Online Dispute Resolution service operated European Commission by clicking on this LINK. If any manuals, patient information or safety instructions are provided with the products, you agree to read and follow carefully all the terms contained therein at all times. Any information contained on the Website is not meant to be comprehensive and if you are inexperienced in using the products or are unsure of your abilities, you should always seek expert advice and assistance. You acknowledge that content, including but not limited to text, software, music, sound, photographs, video, graphics or other material contained in either sponsor advertisements or email-distributed, commercially produced information presented to you by the Website, by us, or our advertisers or other content providers, is protected by copyrights, trademarks, service marks, patents or other proprietary rights and laws. Delivery costs will be added to the cost of your order. The cost of delivery will depend on the total cost of your ordered items and will automatically be added to the “Item Summary” section of the Payment Details page prior to you completing your order. Business Days are Monday – Friday (excluding bank and public holidays). Orders placed on Friday before 1pm should arrive the following Monday (unless it is a Bank Holiday). All orders received after 1pm or on weekends or bank holidays will be dispatched the following Business Day. We aim to despatch orders within 4 days of confirming your order. If your order is delayed by more than 7 days we will give you the option to cancel your order. Delivery timescales are approximate and subject to availability. We cannot give any guarantees as to the precise timing of a delivery. We do not take responsibility for delays once the products have been dispatched from our warehouse. All orders from this website are traceable and require a signature upon delivery. Please ensure that your delivery address is correct (including postcode) before paying for your order. We are unable to take responsibility for the loss of a parcel where incorrect or incomplete delivery details have been provided. Although we will make every effort to ensure your products are delivered within the time stated, we have no responsibility for any loss or damage arising as a result of the late delivery or non-delivery of products. No compensation is payable to the customer for delayed receipt or inconvenience. You should check the content of each delivery promptly upon receipt. If you believe that items have been sent to you in error, you should contact us immediately. Once you cancel your order within 14 days following the date of receipt of your order and we receive your returned item within 14 days of your notification of cancellation we are happy to provide a refund provided the products are unopened, unused and in the original packaging. Items must be returned in the condition you received them. For health protection and hygiene reasons, we are unable to offer refunds, replacements or exchanges on certain medical or personal care items that have been opened or any product with a hygiene seal that has been broken (unless you are returning them because they are damaged or faulty). You can return your items either by post or in person to a LloydsPharmacy Store convenient to you. Returns must be received by us within 14 days of you notifying us that you wish to return your items. To return the items in store, you will need a copy of your order confirmation. To return items by post, please repackage them carefully and send them back to the LloydsPharmcy named on the retun label which is enclosed with your items. Your refund will be processed once we receive your returned items. Refunds are credited to the original card you paid with and will take 10-14 Business Days to be credited to your account, depending on your card provider. If you have paid for your order by PayPal, you can only return your order by post. PayPal orders cannot be returned to store. In the unfortunate event that any item that we have supplied is faulty or has been damaged in transit, please contact us as soon as possible after receiving the item. We will require details of the damage or fault and also the order reference number relating to the item. If you contact us within 30 days and supply the requisite information, we will either refund the cost of the item (including any delivery charges incurred) or replace or repair the item free of charge. This does not apply to items that have failed due to wear and tear. You may have additional manufacturers’ warranties with some products, such as electrical items, giving you additional rights and you should check these carefully.